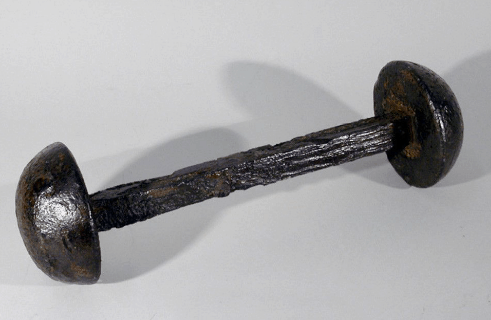 16-Pound Bar Shot, made of forged steel, is a type of cannon projectile that was used mainly in naval warfare where its shape would allow it to move through the air and tear through the rigging and sails of enemy ships. This would aid in demobilizing the ship making it easier to board, capture, or force a surrender. For source and more details, click here.